PokerStars is a household name among poker players worldwide, as one of the premium online poker services. A lesser known fact is the company also runs its own online casino. The poker site has dealt over 125 billion hands to over 67 million players across the globe. The casino is licensed through both the Malta Gaming Authority and the government of the Isle of Man. 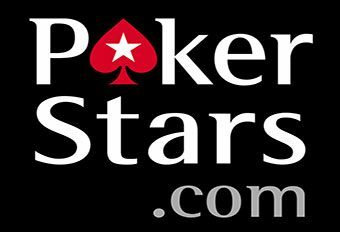 Established in 2015, PokerStars Casino is part of PokerStars.com. The PokerStars brand is owned and operated by Rational Group, and is listed on the Toronto Stock Exchange. The online casino offers a variety of both virtual and live casino games, produced by industry leading software providers. The casino is available in multiple European languages including Dutch, German, Italian, French and Spanish amongst others, whilst gameplay is restricted to players based in the USA. PokerStars hosts some of the best slot games available in addition to table games including Baccarat, Roulette and Blackjack. Slots are available from a number of leading software providers, with titles including Starburst, Jackhammer 2 and Medusa 2. The table game selection is slightly limited, with just the games mentioned above and Heads-up Hold ‘em available. However, poker players can enjoy the vast wealth of experience that PokerStars provides, considering it’s the leading online poker platform in the world. PokerStars includes games developed by NetEnt, Microgaming, IGT and iSoftBet. The company is also powered by Amaya who own Rational Group. Games are accessible through the website as well as a downloadable version of the casino. PokerStars has also released two mobile apps, one for Apple IOS devices; the other is for Android devices. Players can enjoy Blackjack, Roulette and Live casino games whilst playing on the move. PokerStars offers a very generous welcome package which gives players a 100% first deposit match bonus up to £200. In addition to this, desktop players can receive £20 of free play upon first deposit. The casino also offers a VIP Club which rewards players’ loyalty through offering StarsCoin which can be exchanged for real money, electronic goods, merchandise and future poker tournament entries. PokerStars offers a wide range of banking methods for players to use. Players can deposit through Online Bank Transfer, Visa, MasterCard, Skrill and NETELLER, amongst other options. Players with mobile devices can use the Mobile Cashier to deposit money using the options available to them. PokerStars ensures that personal and financial information is secure and kept confidential at all times. The casino utilises SSL data encryption technology, ensuring that all transactions are executed in a secure way. A random number generator is also in place, encouraging fair gaming at the casino. A monthly payout percentage is carried out by Gaming Labs Certified. PokerStars Casino provides customers with extensive support, available 24/7. There’s a detailed FAQ section on the website, as well as a highly responsive email address. Unlike many other casinos however, there’s no live chat feature on the website.